Robert Masuku has been voting since 1994 but is registered as an illegal immigrant. A 45-year-old South African has been told he must bring his dead mother to the Department of Home Affairs if he wants to get his smart ID. 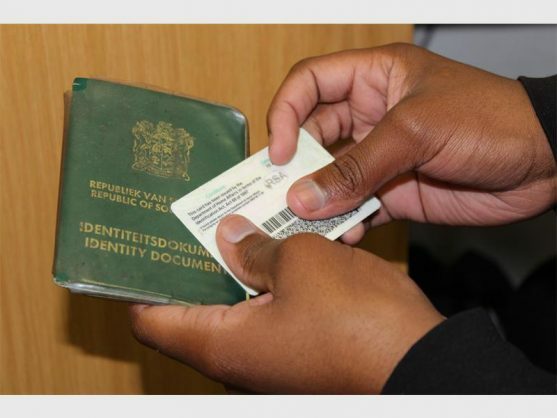 When Robert Masuku tried to help his 18-year-old daughter get her ID last year at Mamelodi Home Affairs office, he found out that the Department has him registered as an illegal immigrant. Yet he was born in Kudu, near Nelspruit, and has an ID book. His green ID book shows he has been voting since 1994. “It was a surprise that the smart ID card system failed to recognise me. I applied for my first ID in my stepfather’s surname and later changed it [my name] to my mother’s surname. There were no problems in the change of the surname,” Masuku said. Home Affairs media manager David Hlabane confirmed that Masuku was marked as an illegal immigrant. Asked by GroundUp what Masuku should do, Hlabane said he should go back to the office where he initially applied, with a list of documents, and then make an appointment for an interview with an immigration officer. “The outcome of this process will help determine whether or not he should be issued with a new [smart] ID”, said Hlabane. But when Masuku went to the Mamelodi office on 13 February, he was told at the front desk that he had to bring his mother. His mother died in 2008. “I showed the officer my mother’s death certificate but he insisted he would like me to bring my mother. I asked to speak to the manager but was informed the manager was not available that day,” he said.